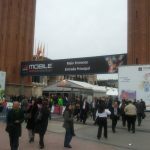 Distrita can report that more than 60,000* visitors from 200 countries attended the 2011 GSMA Mobile World Congress, marking a record for the mobile industry’s premier event. The four-day conference and exhibition attracted executives from the world’s largest and most influential mobile operators, software companies, equipment providers, Internet companies and media and entertainment organisations, as well as government delegations. Train Fever Update with better simulation and better usability!